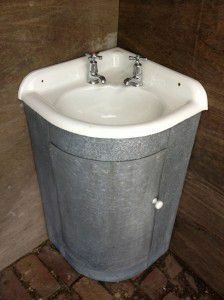 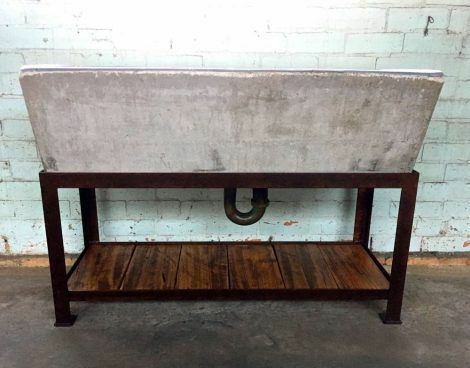 Vintage industrial water trough, sealed and ready to install. Rusted steel frame and reclaimed hardwood shelf have also been sealed. 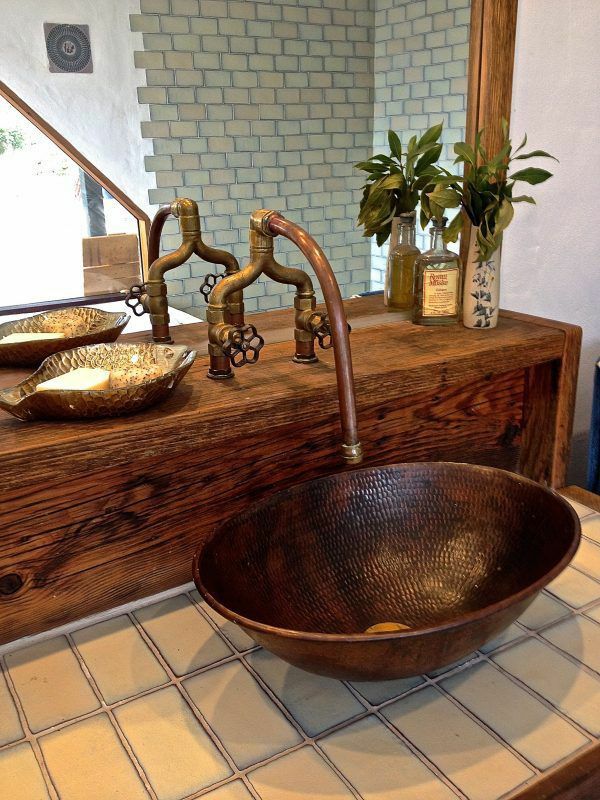 Hand crafted tap ware and faucet, double basins, open shower and a bath with a view! 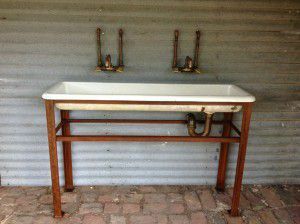 bathroom vanity unit with a vintage porcelain basin, vintage tapware and reclaimed timber top on an industrial steel base. 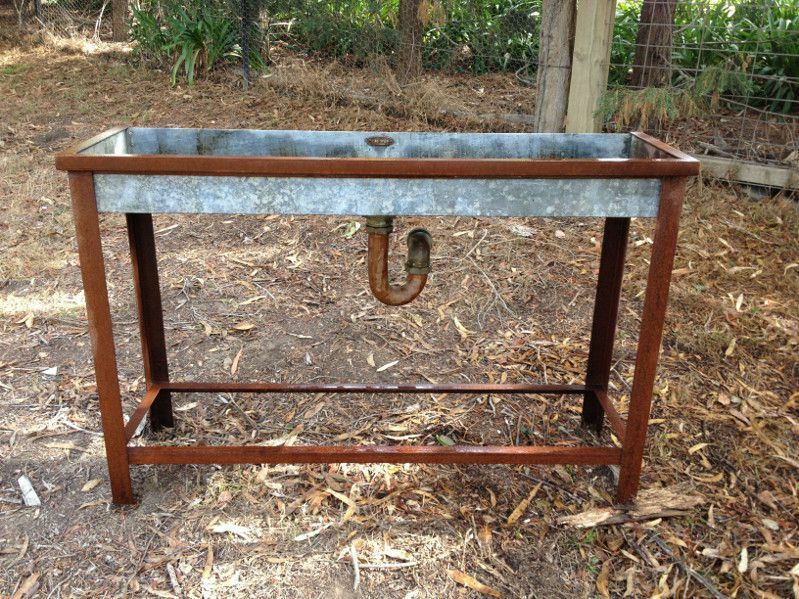 Custom made industrial water trough from reclaimed roofing iron, with vintage brass drain and trap. 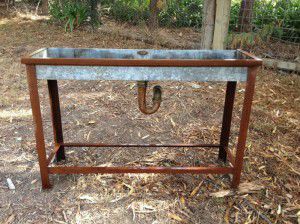 Industrial water trough on a rusted steel stand that has a protective coating to seal and prevent further rusting. Set of two handcrafted copper and brass taps. 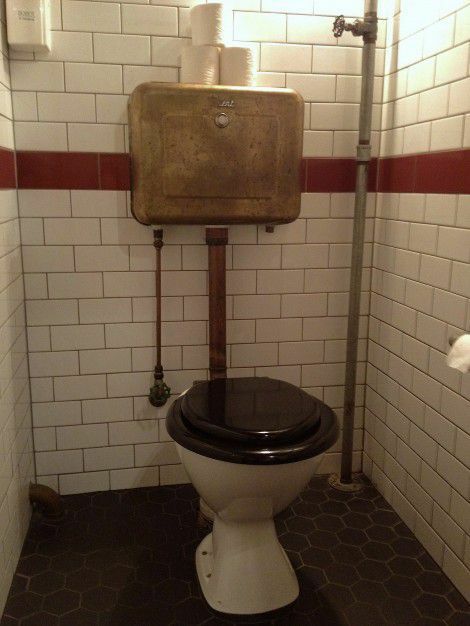 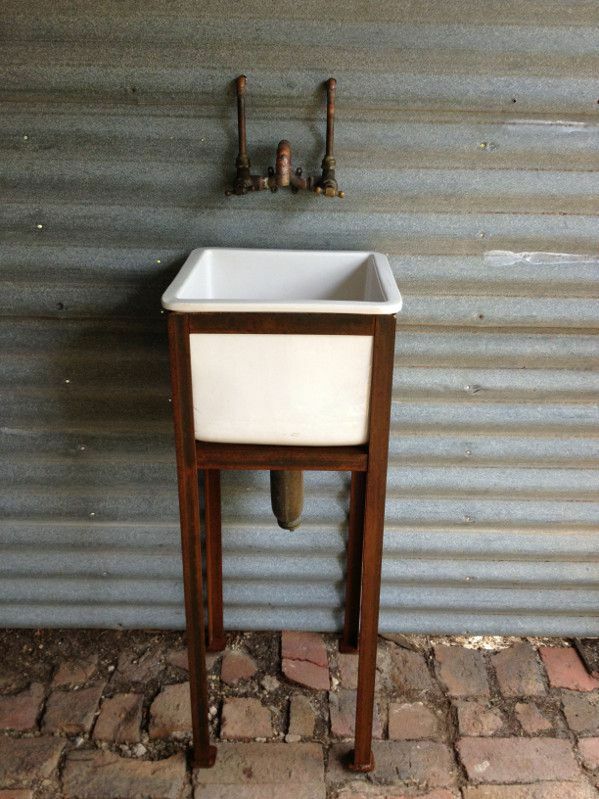 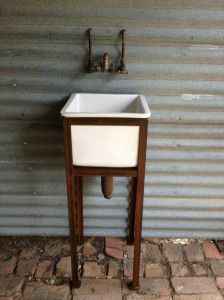 vintage cast iron enamel basin on a rusted steel stand and handcrafted copper and brass tap ware. Galvanised Iron corner vanity unit. 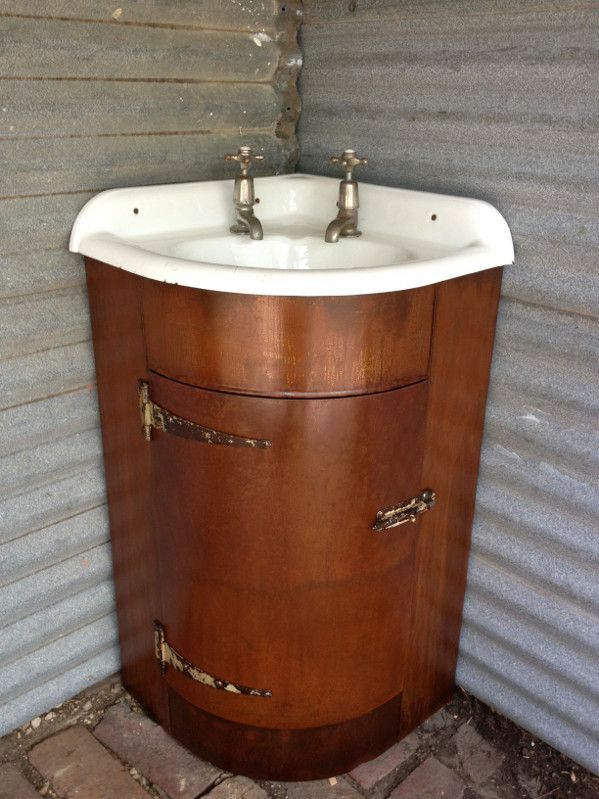 Rustic galvanised iron corner vanity unit with cast iron enamel basin. 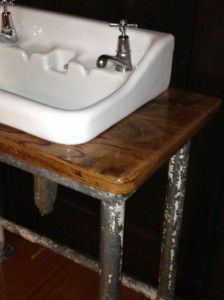 Rustic industrial iron corner vanity unit. 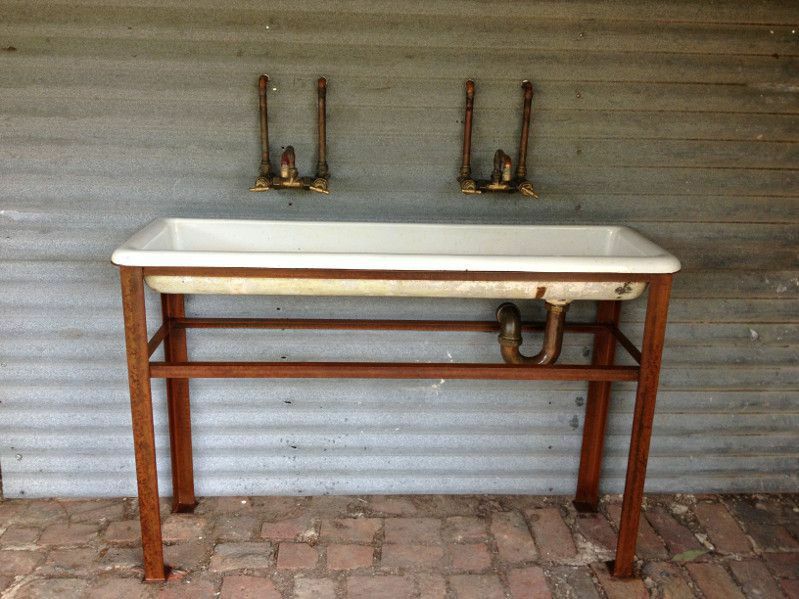 Rustic industrial iron corner vanity unit with cast iron enamel basin. 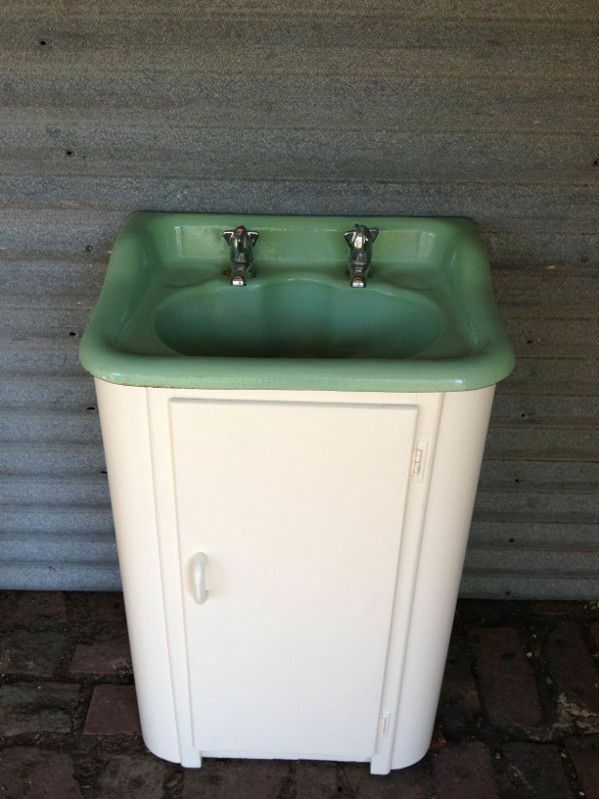 Retro vanity unit with vintage cast iron basin.